October | 2013 | COMO GIRLS ROCK! 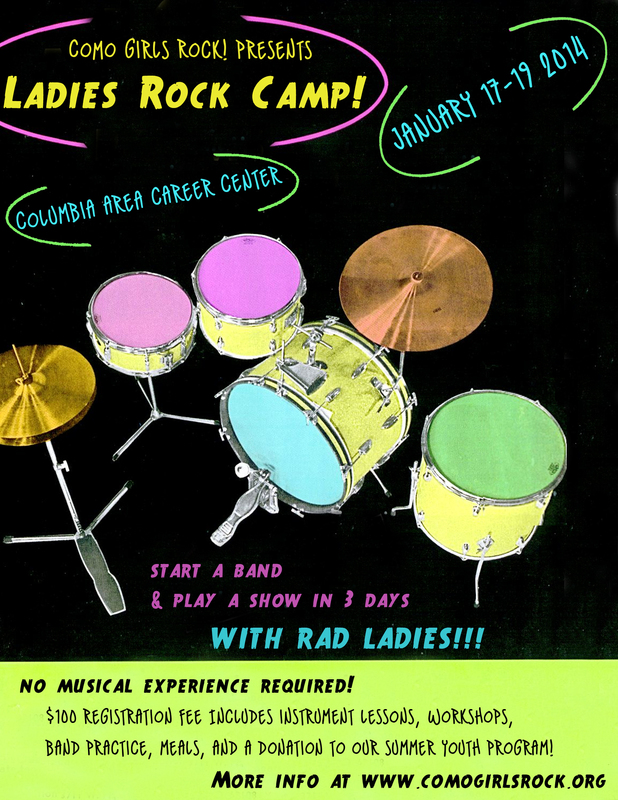 We are so excited to announce our first Ladies Rock Camp! January 17th – 19th at the Columbia Area Career Center with a showcase at Mojo’s on Sunday the 19th. We will post more information really soon with a schedule and registration link! Stay tuned y’all and mark your calendars!